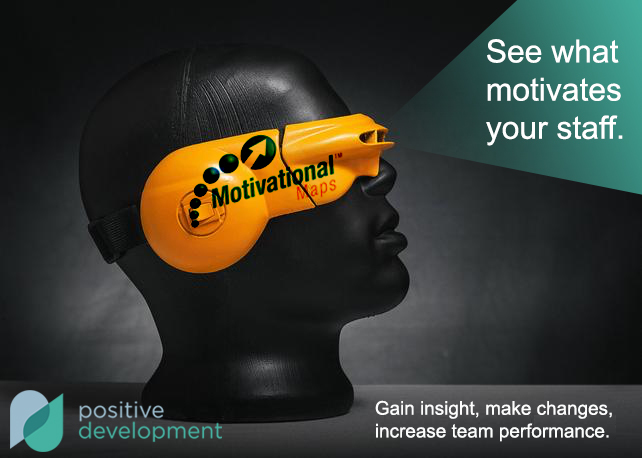 Positive Development provides a unique Team Development service using Motivational Maps to provide insight of your team’s dominant motivators and give you choices on how to dramatically increase productivity! Unlike the dated Myers-Briggs tool, Motivational Maps offers a deep awareness of a person and what “makes them tick”. The results are incredibly accurate, easily identifying where resources and attention should be directed to make immediate and positive impact to your productivity. How do we improve our performance as a team? The best leaders continually ask, “How do we improve our performance as a team?”. Having an awareness of what motivates your team as a whole, and what motivates individuals within that team provides fantastic opportunities to significantly improve their performance! By using Motivational Maps, you can measure the current motivation of your team, identify opportunities to implement positive changes and demonstrate increased of performance over time. Get in contact for a free consultation and see how we can help your team thrive.